In the new movie The Kid Who Would Be King , the protagonist Alex thinks he’s just an ordinary schoolboy until he stumbles upon Excalibur, the legendary sword of King Arthur, in a building site. Having drawn the sword, he must unite his fellow students to form a new band of knights and, with the help of the wizard Merlin, defeat the evil enchantress Morgana. Morgana, also called Morgaine or Morgan, is a staple figure of the Arthurian legend. Her relationship to Arthur varies but usually she is introduced as Arthur’s half-sister, the daughter of his mother Igraine and her first husband Gorlois, the Duke of Cornwall. In English depictions of the 14th and 15th centuries – such as Thomas Malory’s Le Morte D'Arthur or Sir Gawain and the Green Knight – she often lurks at the fringes of the Arthurian court, plotting its downfall. 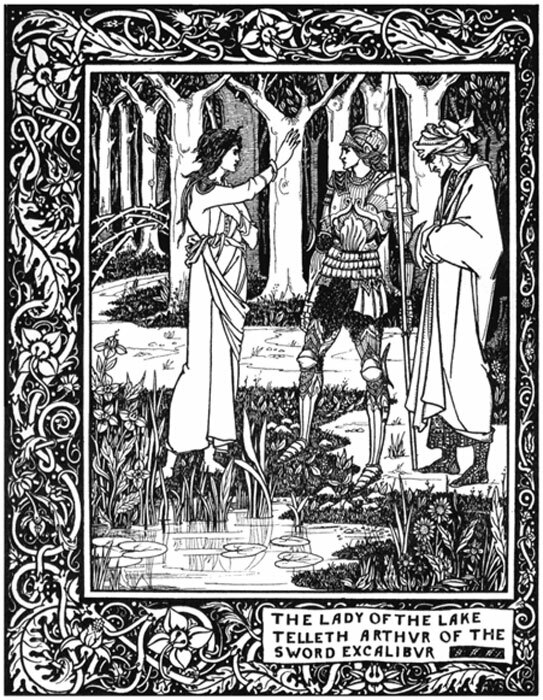 In Le Morte d'Arthur, she steals Excalibur and gives it to her lover, Accolon, intending that they overthrow King Arthur and rule in his place. Thwarting the scheme, Arthur recovers the sword, but she steals its magical scabbard, which has healing properties, indirectly contributing to Arthur’s fatal wounding in his final battle. Morgan also conspires against Arthur’s queen, Guinevere, sometimes because they are rivals for the love of Arthur’s most important knight, Sir Lancelot. In Sir Gawain and the Green Knight she sends the Green Knight into Arthur’s court in the hopes that Queen Guinevere will be frightened to death. But in earlier tellings of the Arthurian story, Morgan can be a far more benevolent figure. In Geoffrey of Monmouth’s Vita Merlini , composed in the 12th century, Morgan is described as the most beautiful of nine sisters who rules Avalon, the Fortunate Isle. She also has healing powers and can shape-shift and fly. After Arthur is wounded in the Battle of Camlan, he is brought to her for healing. Far from plotting his downfall, she promises that she can heal him. Often linked to various supernatural female characters of Celtic mythology, Morgan is also called Morgan “le Fay” (the fairy), hinting at otherworldly origins for her character. Yet in late medieval depictions, she is more associated with evil ambition and sexual immorality. Why is there a shift in the portrayal of Morgan le Fay? In the late medieval period, magic increasingly became associated with witchcraft and the devil. But Merlin tends to be treated kindly – even though he is sometimes described as the son of a demon – because he is generally seen as Arthur’s protector and is someone who uses his magical powers in aid of Camelot. He is, of course, also a man. Meanwhile Morgan is condemned for being a woman who seeks magical and political power for herself. Yet even in Malory some traces of her former, more benevolent character remain. After Arthur is fatally wounded fighting his illegitimate son Mordred, she is one of the mysterious women who take him to Avalon for healing. Thus, the character of Morgan is revealed to be far more complex than she initially appears. More recent depictions of Morgan, especially in literature, have attempted to convey some of this complexity. In her book, Mists of Avalon , Marion Zimmer Bradley portrays Morgaine as a defender of the old pagan religion of Britain against the encroachment of Christianity. Although she attempts to overthrow Arthur, it is primarily to protect this way of life. In the majority of portrayals in film and television, however, Morgan continues to be a villain. In the BBC’s Merlin, Morgana begins as a friend to Arthur, Gwen, and Merlin, but, in the end, she betrays them. Morgana is given plausible reasons for her change of heart: not only does she have magical powers in a Camelot ruled over by Uther – a king who condemns magical practitioners – but she also discovers that she is his illegitimate daughter and that he has no intention of acknowledging her. But as the series draws to a close a once complex character seems to be motivated solely by hatred and greed – and she becomes a pantomime villain dressed in black. Her awakening magical powers and her desire to rule over Camelot lead to her moral decline. In spite of Arthur’s reputation as being a noble warrior and a just king, his legend is riddled with moral ambiguity from the moment of his conception. Arthur’s father Uther Pendragon desires Igraine – the unavailable wife of the Duke of Cornwall – so Merlin arranges for him to visit her in secret, magically disguised as her husband. This act of deception and betrayal results in Arthur’s birth. Arthur, who is no saint himself, has a child out of wedlock – the product of an incestuous union with his half-sister Morgause (in some versions of the legend it is Morgan, but the two have often been conflated, especially in more modern retellings). Learning of the child Mordred’s birth (and that the child is fated to be his downfall), he tries to destroy his son by ordering the death of all babies born on that day. Arthur’s best knight Lancelot has an adulterous affair with Arthur’s wife Guinevere. Yet among this catalogue of venality and treachery, it is Morgan who is usually branded the villain. The story of King Arthur has been told many times, and there is no reason to think that these stories will ever lose their hold over the popular imagination. Every telling of the story differs, but, throughout most of the story’s history, Morgan le Fay has been one of its most powerful female characters. Yet increasingly she is seen not only as abusing what power she has, but also as being hungry for more power – making her one of the story’s greatest villains because she does not support Arthur and his Camelot. But why should we assume that Arthur’s Camelot deserves her support? In the 21st century, should a woman be considered evil because she desires power for herself? 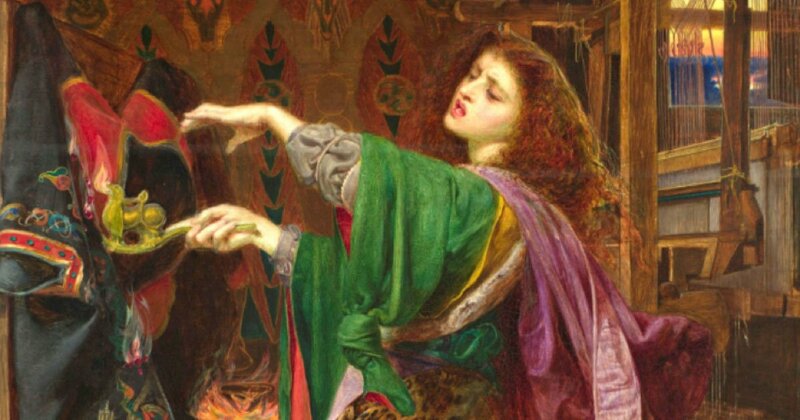 The article ‘ Morgan le Fay: How Arthurian Legend Turned a Powerful Woman from Healer to Villain’ by Marta Cobb was originally published on The Conversation and has been republished under a Creative Commons license. What you mean to say is the story of King Arthur that people probably presently know is actually a number of rewrittings of a previous tale? Seems to me that Morgana helped Arthur’s side so much that those that Arthur fought demonised her. Maybe the original Arthurian stories were Celt and the later ones Anglo-Saxon and Morgana was a proud Celt opposing the Anlo-Saxons. Maybe Morgana was seen as a witch because public attitude towards Arthur changed and someone wanted their role erased. Maybe Morgana was a cunning woman, maybe even hermit, who helped Arthur so much that she’s demonised by the Anglo-Saxons who put her cunning down to being a witch. You’ll just have to keep reading those Anglo-Saxon documents.